You are now watching the Throne, don't let me get in my zone..
Too late! I'm already in my zoneeeeee! 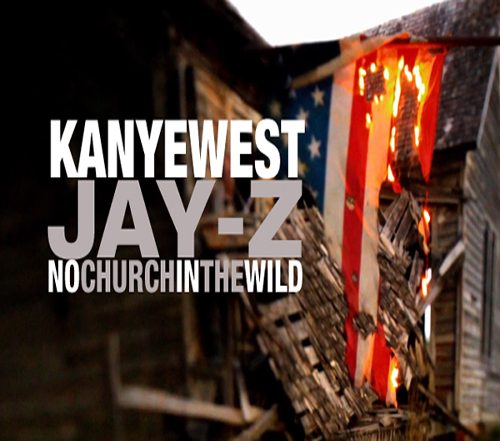 No Church In The Wild is the third released video off of Jay-Z and Kanye West's joint album 'Watch The Throne'. The album went straight platinum before it even got released. Nar, these guys are too much for the industry. Jay and 'Ye got together and teamed up with Odd Future artist, Frank Ocean. They officially released the video to their hot track 'No Church in the Wild', but Jay-Z, Kanye West or Frank Ocean aren't in the video. But I like it like that, for some odd reason lol. Check out the video below, shot in Prague and directed by Romain-Gavras.